At Delphi we were especially interested in the Galillo Inscription. 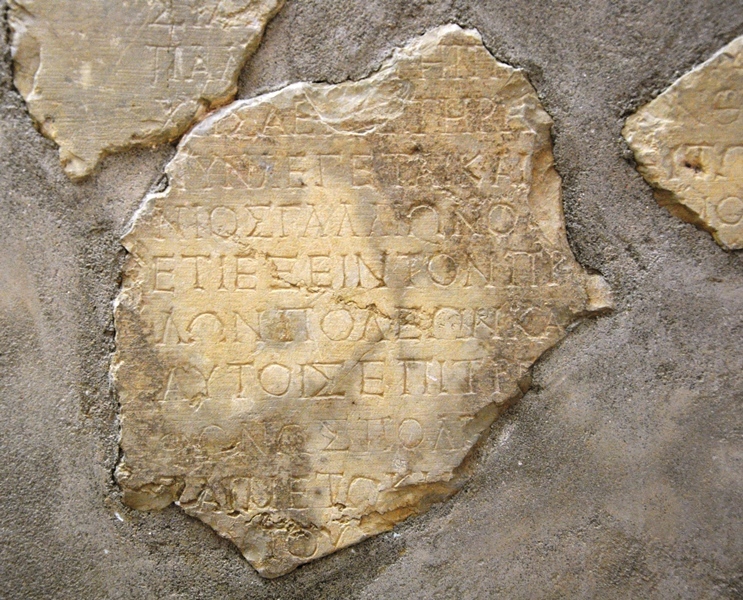 Gallio Inscription. Delphi Museum. Photo by Leon Mauldin. Thanks to an inscription that was found at Delphi concerning Gallio, the Roman governor (proconsul) in Corinth, the dates for this visit can be established. Gallio seems to have taken office in July of 51 C.E. and served only only one year. Since Paul was forced to appear before Gallio due to a complaint lodged against him by the Jewish synagogue in Corinth, he likely arrived there in early 50 C.E. and departed in late 51 or in 52 C.E. Today we are to make our way on up to Berea and then to Thessalonica. You are currently browsing the archives for the Gallio Inscription category.